Click to view FULL COLOR THREAD CHART - Keep in mind some colors following this link are not stocked. Below are available threads. Custom thread can be ordered for $30 per color. 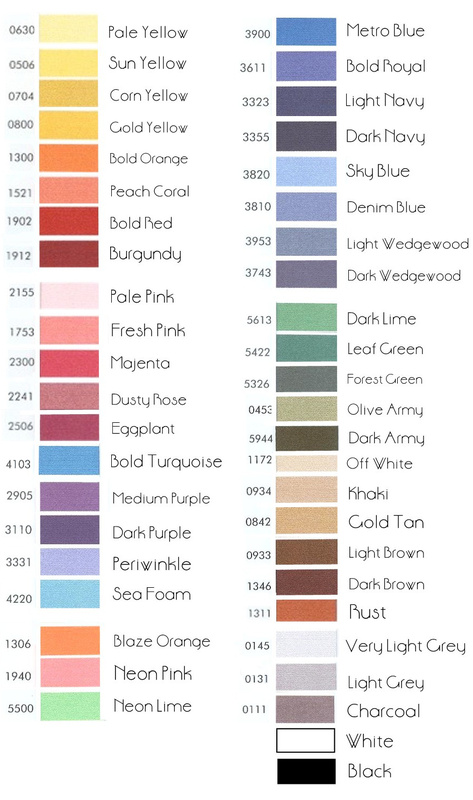 Send us your Pantone Color Code and we will match thread for you.